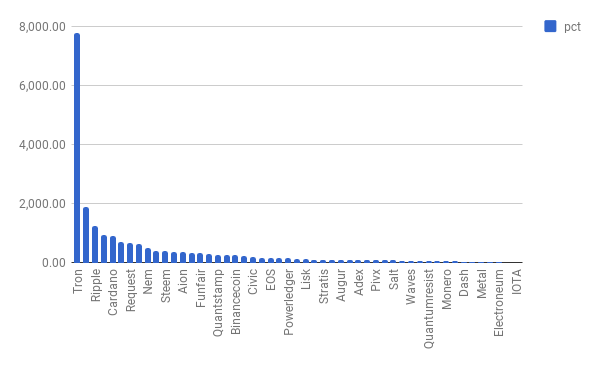 I decided to take 51 interesting coins and look at their performance in the last 30 days. there is only 1 coin with a loss in my list: Electroneum (ETN). 32 out of 51 coins at least doubled in value. Biggest winner is Tron, growing 7751%! Congratulations @gorik! You have received a personal award!